The Marfoki Cemetery in the Port Loko district, Sierra Leone. 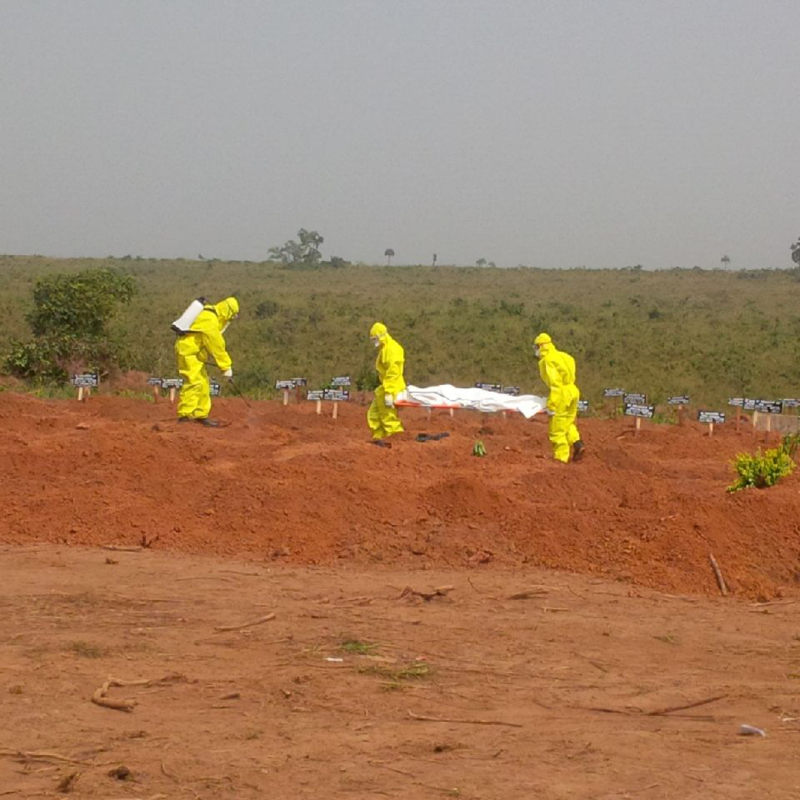 A burial team carrying out a safe burial of a victim of Ebola. E. Kainne Dokubo, “Burial ,” The Global Health Chronicles, accessed April 22, 2019, https://globalhealthchronicles.org/items/show/7757.